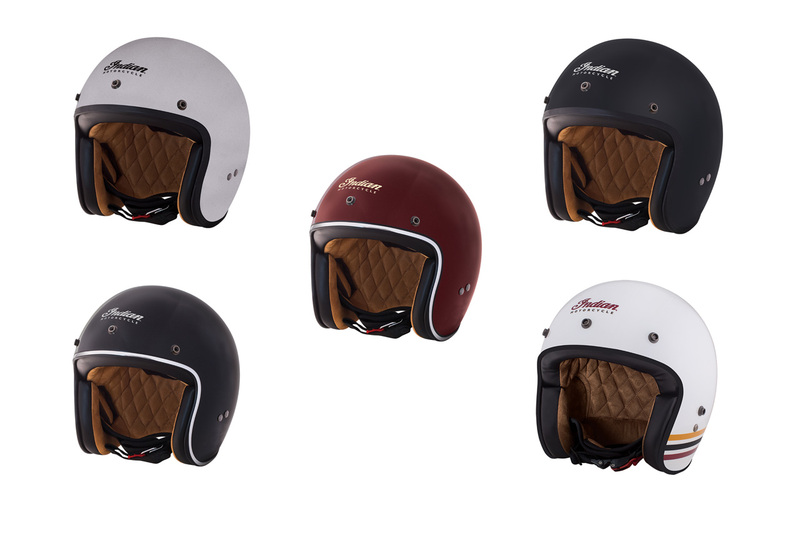 New from Indian come these open face helmets with the retro styling that’s so popular at the moment. They’re made from fibreglass with an EPS inner shell and UV-resistant lacquer finishes. The inner fabric lining is quilted and the cheek pads are removable. These fasten up with a D-ring and there’s a goggle fastener on the rear plus there three poppers across the front to fit a sun peak. Available in Matt Black, Glossy Black, Red, Silver, White.